Women in some of the poorest countries in the world are already feeling the effects of the Trump administration's sweeping changes to foreign aid and losing access to family planning services that advocates say reduce unintended pregnancies, abortions and maternal and newborn deaths. Women in some of the poorest countries in the world are already feeling the effects of the Trump administration's sweeping changes to foreign aid, and the impact will only widen, advocates say. The reinstatement of the Mexico City Policy will lead to unintended pregnancies, maternal deaths and even more poverty, says one of the world's largest family planning organizations. 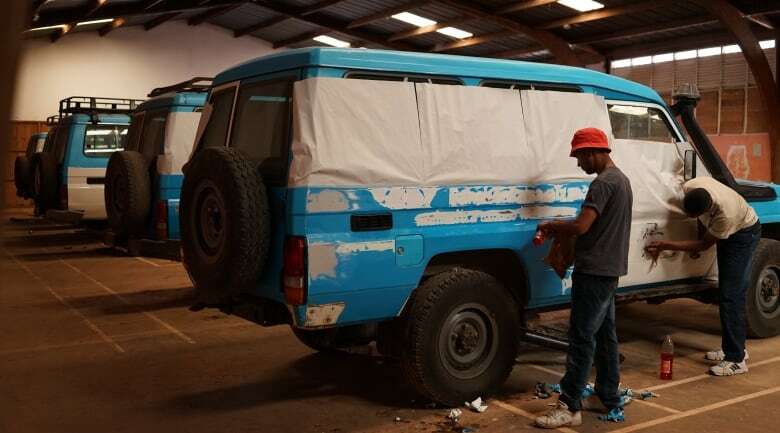 With the policy cutting off part of its funding, Marie Stopes International says this month it is closing or scaling back projects that provide free or inexpensive contraception for women in Madagascar and Zimbabwe. Lalaina Razafinirinasoa, country director for MSI Madagascar, says poor women and young girls will be the hardest hit. "We are very sad to be forced to leave them in such a difficult situation, dealing with one or two unwanted children burdening their family life, but we are hoping that alternative donors will come to our rescue," said Razafinirinasoa. Experts around the world agree that access to family planning services reduces unintended pregnancies, abortions and maternal and newborn deaths, including the World Health Organization, which estimates that 830 women die each day from preventable causes related to pregnancy and childbirth, nearly all of them occurring in developing countries. The United Nations calls access to safe, voluntary family planning a human right and says it is "central to gender equality and women's empowerment, and it is a key factor in reducing poverty." In recent years the U.S. has been the world's largest bilateral donor in the area of family planning. It provided MSI, which operates in 37 countries, with around $30 million US in funding last year via the United States Agency for International Development (USAID). Three days after his inauguration, U.S. President Donald Trump signed an executive order reinstating the Mexico City Policy, which blocks U.S. federal funding from going to foreign non-governmental organizations that "perform or actively promote abortion." The policy, referred to by critics as the global gag rule, was first brought in during the Reagan era and has been reinstated under every Republican president since. However, the Trump administration expanded its scope. In the past, the policy applied only to family planning funding, which this year would have been about $600 million in assistance, according to USAID. The new policy now affects all aid for international health programs — about $9 billion in funding — under what is now called Protecting Life in Global Health Assistance. "The Mexico City Policy is a phenomenally flawed policy. It makes no sense," says Sarah Shaw, MSI's head of advocacy. "It's championed by individuals that don't believe in a woman's right to choose and want to reduce access to abortion services. But instead what it does is drive up demand for abortion services because it takes away the ability of women to prevent unintended pregnancy." USAID says previously pledged funding will not be affected, but organizations that don't comply with the terms will be ineligible to receive further support. USAID declined to say how many organizations have refused to sign on to the requirements. MSI's USAID funding has come to an end in Madagascar and it will be ending this month in Zimbabwe. Madagascar is one of the poorest countries in the world, where Unicef estimates around 82 per cent of the population of 25 million lives below the international poverty line of $1.90 US per day. It has a high birth rate, and also a "high unmet need" for contraception and family planning services, MSI says. The first Marie Stopes project to lose funding in the country is a voucher program that provided 65,000 young and poor women with contraception for just pennies per supply. Chantal Rasoarimanga is one of many women living in poverty who says her life has been improved by access to contraception. 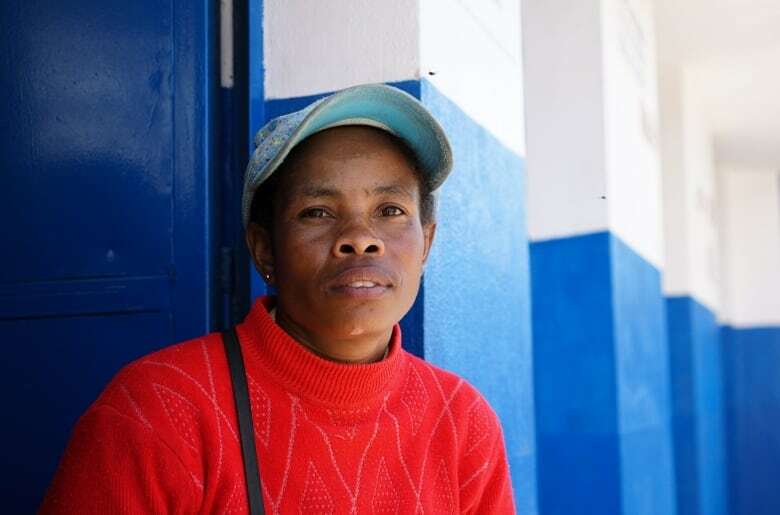 She works collecting money at a public bathroom in a poor neighbourhood in Madagascar's capital, Antananarivo. Rasoarimanga says she and her husband support their five children on around $30 a month. "It is not easy to take care of them. I have five girls and only the first is married," said Rasoarimanga. She says her family couldn't afford a sixth child — nor could they afford to pay for contraception. "I pray, and there was the charitable organization, and I contacted them," said Rasoarimanga. Dr. Marie Monique Rakakotomalala, a practitioner in Antananarivo, says 70 per cent of her clients were from the Marie Stopes voucher program. She is worried for the women in her community. "First of all, the number of children will increase, the poverty goes up and maternal death increases," said Rakakotomalala. She said she is now turning away clients who need contraception but cannot afford it without the vouchers. She is providing some of them with the last of her supply out of her own pocket. "It's very hard because some are very poor," she said. In Zimbabwe, MSI is assessing which hard-to-reach regions to serve with the limited funds it has left. When Trump reinstated the Mexico City Policy, MSI estimated the loss in funding could lead to 1.6 million unintended pregnancies globally, 530,000 abortions (505,000 of them unsafe) and 5,265 maternal deaths each year between 2017 and 2020. While the organization has enough money to continue some of its work in Madagascar until the end of the calendar year, funding sources for Madagascar and other countries beyond 2018 are unknown — and so is the potential long-term impact. "It's hitting the world's poorest economies, making them even poorer and disadvantaging them even more," said MSI's Shaw. Earlier this month, a U.S. Senate committee approved an amendment to a foreign aid bill that could repeal the Mexico City Policy and restore some or all of the funding for MSI and organizations like it. If the bill is approved by the full Senate, it will then have to go before the House of Representatives, where it is expected to face significant opposition. In March, the Netherlands initiated talks with several countries to establish an international fund that would fill the gap left by the U.S. policy. Canada contributed $20 million to this effort, $4 million of which went directly to Marie Stopes International. This is part of the redirection of $650 million from the Global Affairs Canada budget to reproductive health programming. Annie Burns-Pieper is a Gordon Sinclair Foundation reporting fellow based in Antananarivo, Madagascar. She is an investigative journalist and producer with a focus on public interest reporting, specifically, women’s rights, public safety and health. She has produced investigations for CBC, CTV and Global.